He said too that Government and residents must recognise that because of Venezuela’s grave economic challenges, they are evidently desperate. “We have heard that there is a plan to hijack the ferry and this resulted in the ferry having to be escorted a few weeks ago because there were reports that the Sindicatos were planning an attack,” the Regional Chairman divulged. Currently there are reportedly some 640 migrants splashed across the Region. In the community of Imberto there are 74; 40 in a new community under the radar called Black Water Barima; 101 in Khan Hill; 65 in Kamwatta; and an additional 64 in Yarakita. “The numbers tell their own story that indeed there is an increase,” Ashley said. The Regional Chairman disclosed that several of the Venezuelans are also involved in the sale of illegal fuel which he said has caused added concerns from the business community within the Coomaka area. He stated that the RDC had constructed a living quarters for several of the migrants but with the prevalence of illegal activities he foresees various challenges that will pose danger for not only the migrants but residents as well. 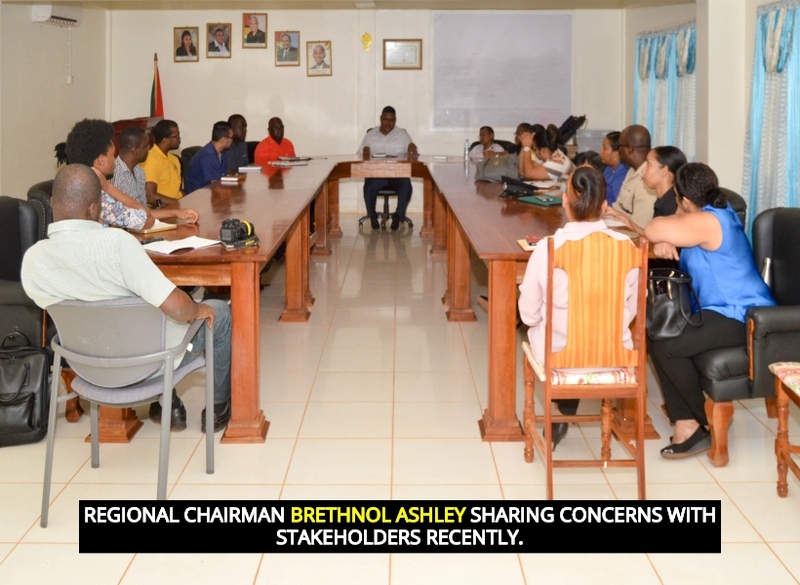 Ashley also spoke about the reported increase in the number of persons being infected with various diseases stressing that several residents have expressed these concerns in this regard. “I am saddled with having to hear families coming to me telling me that they are worried that their husbands may contract some of the diseases and infections. We are very concerned about the increase also of malaria with several villages indicating its prominence in the community,” Ashley shared. The health threat has been amplified by the lack of good sanitation practices perpetrated by the migrants. According to Ashley, “several residents have complained about the Venezuelan migrants defecating in and around the community. This poses great challenges to several business owners who would see the migrants committing these acts openly.” This state of affairs is compounded by the fact that many migrants deprived of sufficient nutrients have been seen rummaging through garbage bins in search for food. According to Ashley Region One is appealing for support at the national level to address the daunting concerns prevailing there. Response to the Region’s response thus far has come from Region Four through its Regional Executive Officer, Ms. Pauline Lucas.